Manageable Haircuts You Will Want to Get! Everyone wants to wake up and just magically roll out of bed beautified! We all want to be able to walk into work or school looking glam while not taking too much time. Our sleep is important to us. It’s literally our beauty sleep as well as a way to be healthy within our bodily functions as well. So every minute we can save on one end will save us on the others. However, as women, it can be tough to decide if we should skip the glam makeup and just throw a messy bun or if there is an easier way to get ready quicker while still looking gorgeous. I am here to tell you that with these manageable haircuts you will be able to get out the door quicker, look amazing and not have to compromise on looking glam or sleeping in. You can have the best of both worlds! Short Straight hair is always easy to manage. To make it a 2018 more modern look have it tapered so it’s longer in the front than in the back. This will not only give your face great angling and appeal, but it will look very professional or elegant. Whether you’re heading off to college for the first time and want a quick haircut to roll out of bed to class or you’re a working mom this style does the trick! Short hair, not your thing? Long straight hair will work wonders for you! Add some extra layering to frame your face this will make you look younger as well. If you’re sleepy it should also make you look less sleepy so your boss or teacher won’t have a clue you only got two hours of sleep last night. Easy to manage and always classic. If your hair not straight or hard to straighten in the morning? Try the wavy short-haired look. There are plenty of pixie inspired cuts that are great with wavy hair! Plus, if you have fine hair or just want more volume you can get that look with the short hair wavy style. And you don’t have to make sure it’s perfectly brushed because it looks like it should! Again, if you’re a fan of longer hair try the wavy long hair look. It’s very manageable because the style is meant to not look perfect and give you some great volume. I highly recommend this look to anyone who is new to college or looking for a roll-out-of-bed kind of haircut. It can be shoulder length or longer, but it will be easier to manage at shoulders length. You don’t have to blow dry it so it’s low maintenance. Just take a brush through it in the morning and you’re ready for a great day. For a curly hair short look, you can either add on curls in the morning very quickly or if you have naturally curly hair leave it as is. Again manageable. I usually have curly hair that I don’t need to blow dry, but if you have to blow dry your curly hair for it to look good make sure you do so the night before then you can get out the door in plenty of time! This will leave more time for you to spend on your makeup and choosing the perfect outfit. Curly long hair is a bit higher maintenance than the rest of these haircuts. Give this look specific curls. Think of it as the Nicole Kidman look. Give yourself some easy luscious curls that are precisely where you want them. It should be very easy to throw in a couple of curls towards the front of your face and then run out the door. This look is a little higher maintenance so be sure if you don’t have naturally curly hair or you need to work on the precise curls that you give yourself an extra 5-10 minutes than the other looks. It really all depends on how quickly you can curl your hair. Looking for a bit more modern look? Try an EDGY Pixie. We are talking some shaved hair and a more masculine look here. Great for running out the door to class or heading to your job. Now if you’re in the professional world definitely check on your dress code policies but this one can look great with a suit or elegant dress as well. If you have thick curly hair a more modern look that’s still pixie would be the Undercut Pixie! 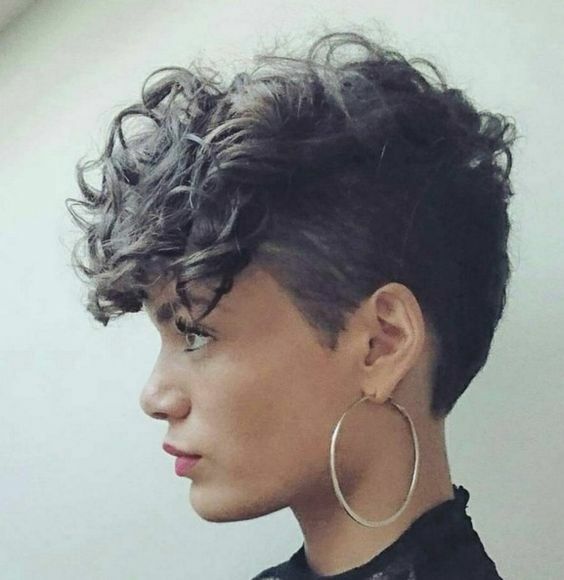 So what’s happening with this modern look is an undercut around the back and sides of the head with a thick curly hair on top. Again if you already have curly hair it’s a good manageable look that will work wonders for you. If you don’t have curly hair you just add some curls to the top and go on to your daily routine. Simple as that! Another edgy and modern idea is a Shaggy Lob. 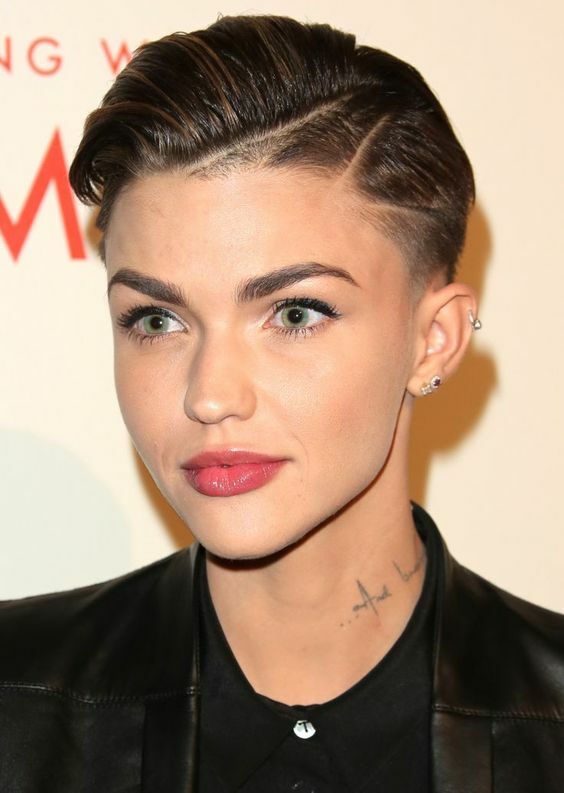 Not only does it have choppy texture in its look but it’s not super feminine or masculine. It is the best of both worlds. It can look professional or cute for college. It’s also great for women with already thick hair! Just brush and run out the door! 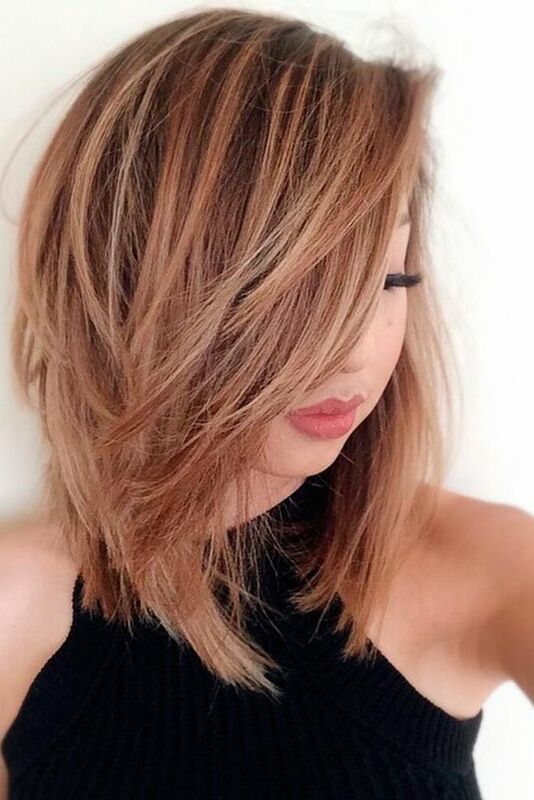 If you’re looking for a manageable haircut with more volume a Layered Lob will be your best friend. You can make this long or shorter, but it will bring more volume and frame your face better than the Shaggy Lob. It’s also a modern, but nostalgic haircut because it’s also 1990’s inspired. Most people remember this haircut as the Rachel. It gives your hair a bouncy look that is classic. Wherever you’re headed school or work pick the best haircut that works for your hair and your features. There are plenty of manageable haircuts out there so there is no need to struggle in the mornings. Don’t choose between looking glam or getting more sleep. Do both.